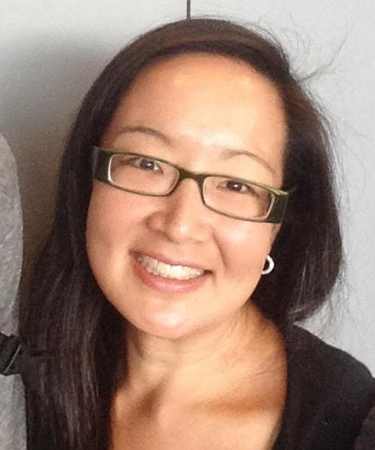 Pierson College Dean June Chu apparently has an aversion to “white trash” and “sketchy” or “low class folks” and everyone at Pierson College – a residential college at Yale – is taking issue with it. Chu, who’s been with Pierson since May 2016, has been quite busy writing Yelp reviews and lambasting many of the local establishments for their food, service, patrons, employees or anything else that doesn’t strike her fancy, and students at Pierson have been circulating her reviews amongst themselves for months. “To put it quite simply:” a review of Koto Japanese Restaurant states, “if you are white trash, this is the perfect night out for you! This establishment is definitely not authentic by any stretch of the imagination and perfect for those low class folks who believe this is a real night out.” Koto got a single star from Chu. Fast forward to May, and screen captures surfaced showing the extent of her controversial and condescending reviews. In fact, Chu is such a frequent Yelp reviewer, she’s earned the title “Yelp Elite” on the site. Her reviews have since been deleted. The employees at Entertainment Cinemas were incompetent idiots and “barely educated morons trying to manage snack orders for the obese” and can’t add $7 plus $7. And everyone in line was an “idiot” and she had to stand with them. Chu sent an apology email to the residential college community last Saturday apologizing for the two Yelp reviews brought to her attention by the college head and deans. Holloway praised Chu’s email for being “very honest” and said he hopes students will be able to recognize that people make mistakes and can learn from them. Pierson students have had mixed reactions. Ring Wang was surprised when she read Chu’s email and believes making amends will likely be a big challenge considering Chu has only been with the college for a year. A group of friends in Pierson and other residential colleges all agreed Chu used “demeaning and offensive” language that was inappropriate for someone in her position. “These reviews make it clear how Dean Chu thinks about people who are different from her, and how she feels about New Haven, the city all of us call home for a few years,” a student in the group said. One Pierson student, who requested anonymity, said Chu’s comments convey a bias against certain groups of students who call Pierson College home. He added that the remarks jeopardize Chu’s capacity to properly execute her job as a steward of the college community. “If I had heard these comments upon arriving to Yale as a freshman, the first thing I would have done is walked to Pierson College and demanded a residential college transfer form,” the student said. Check out the Yale Daily News for more info. UPDATE: It was announced in June that Chu will not return to Yale for the Fall semester and is being replaced. Chu is the one who lacks class. The proof? If she had any, she’d resign in shame. And, if Yale were a principled institution, Chu would already be standing in the unemployment line.